perfect time to shop. I was browsing for half & hour then i saw this sweatshirt on Jabong by River Island but if you don't know I am not a Sweatshirt kinda person because I don't know but why they always look horrible on me as you can see in pictures maybe. Many times i try them to style but they always look same so i stoped buying them but after seeing this I was too confused thinking how it might be going to look on me but for the unique back open YES!! so I have to get it.. after receiving it in Mail I fall in love with it so cozy the color also perfect for the weather & it will fun to style it. Even I don't look good but you guys gonna see this sweatshirt more in winter blog post by layering it. 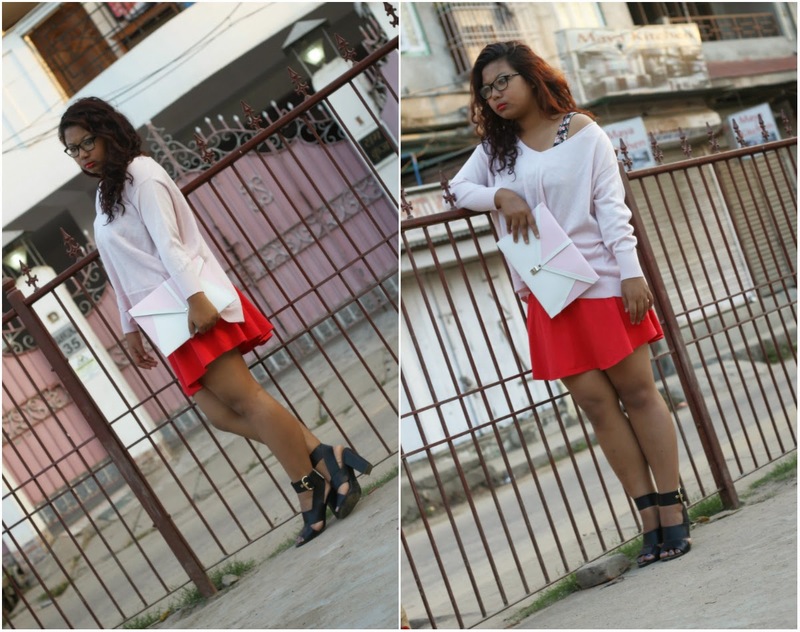 So hope you guys head over to my blog again to see how i style it or if you have any idea feel free to to comment.